Call times are 12 pm to 11 pm, all volunteers will be provided meals. 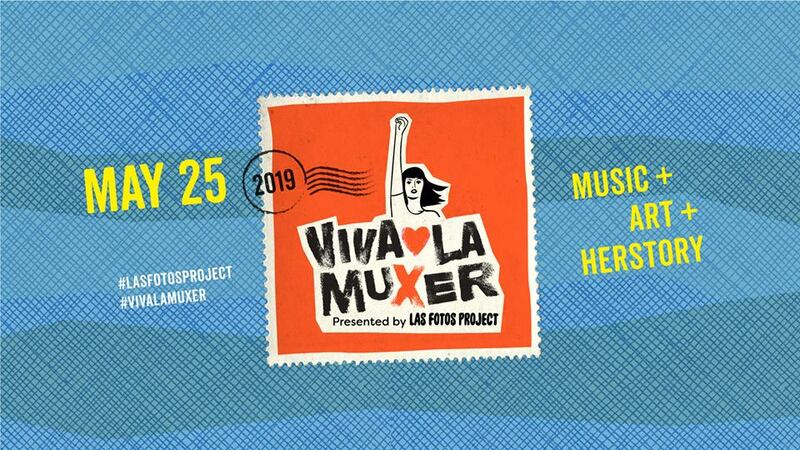 Viva La Muxer is Las Fotos Project’s annual fundraising benefit that celebrates and uplifts women-identified artists, entrepreneurs, and changemakers from across Los Angeles. The 5th annual arts and music benefit event features live performances, 100+ curated arts exhibits, family-friendly workshops, resource booths, food and drinks, dancing, networking, and more! We honor them as “mamas”, not only as biological mothers but as spiritual ones as well. They are women who have nurtured new lives, provided spaces for healing and cultivated the growth of new generations. We reach for their wise words, the smells from their kitchens, the sounds of their songs and the inspiration from their stories.